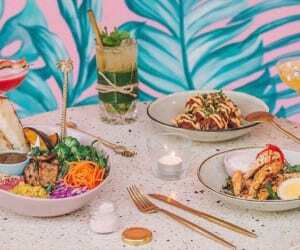 It’s no secret that Kuta is one of Bali’s busiest tourist neighbourhoods, brimming with new and old hotels, restaurants, shopping malls and even hopping nightclubs. And while it remains one of the island’s go-to destinations for a bustling beach holiday, one thing it’s been missing is a luxury destination away from the chaos and the crowds. That is, until now. 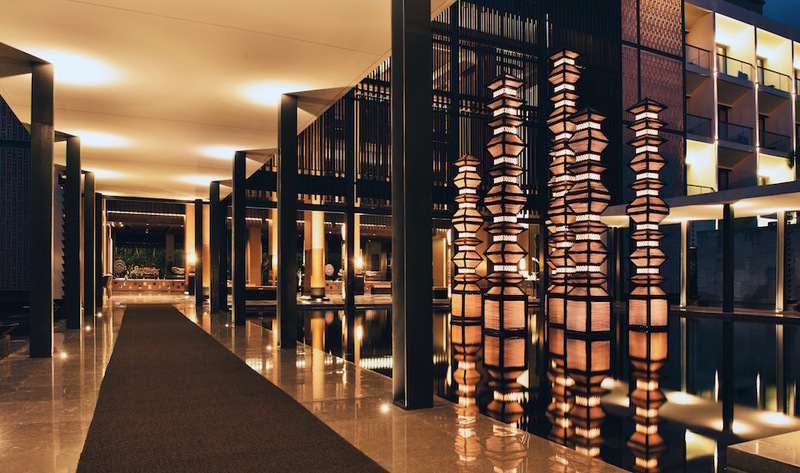 Reinventing the Kuta vibe, The ANVAYA Beach Resort Bali has managed to do what other hotels have fallen short on: introduced a luxury and totally tranquil escape to the lively streets of Kuta. This hidden gem is an ideal destination for travellers on both sides of the coin: those who want a peaceful or romantic escape, and those with a wild and wonderful holiday in mind, with the buzz of Bali right on the doorstep. It’s the best of both worlds, under one dazzling beachfront roof. 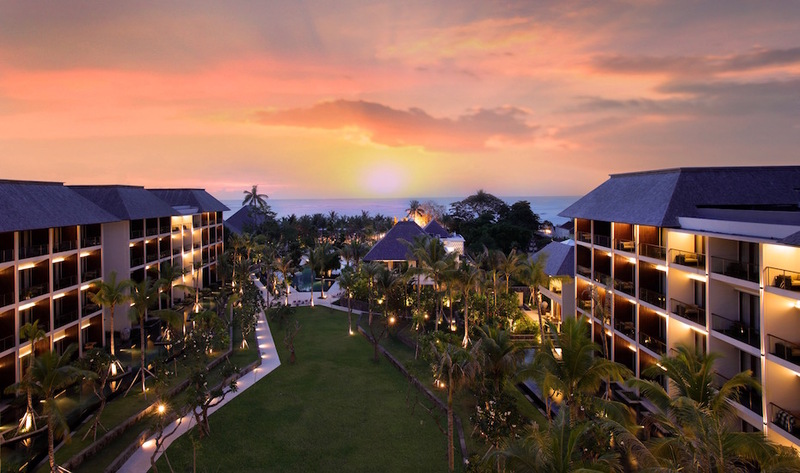 Here’s why The ANVAYA Beach Resort Bali is our fave luxury hotel in Kuta. 1. Location, location, beach location! The ever-famous Kuta Beach is a stone’s throw away, with direct access to the resort’s very own private section of powder-white sand in front, perfect for those who want to bask in the sun, quietly. Yup, The ANVAYA’s location suits whatever mood you’re in, whether it’s a lazy day by the seaside, or an island adventure in the energetic outdoors – the choice is yours! The ANVAYA is a carefully crafted work of art that has seamlessly integrated stylish, contemporary and authentic architecture from the island’s three key eras: Bali Aga, Hindu Bali and Modern Bali. Just a quick stroll around the hotel and you’re effortlessly transported from one era to the next, all thanks to the resort’s impeccable attention to detail – from the extravagant lobby and its 493 guestrooms, suites and beachfront villas, down to its dainty fixtures and aesthetic details. But that’s not all. The resort’s layout has been designed in such a way that it radiates serenity in every corner. Think spacious, comfortable lounges separated from the lobby, specifically designed for early check-ins and late check outs, complete with shower rooms, complimentary refreshments and entertainment. These lounges are not only ideal for those early and late night flights, they also avert any overcrowding or noise pollution in the lobby during peak times. How considerate is that?! 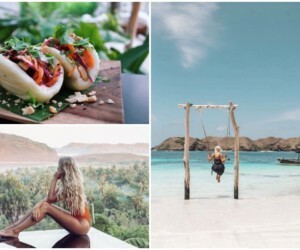 The ANVAYA, which means “connection” in Sanskrit, is dedicated to doing exactly that: connecting with you and capturing your wanderlust heart. Not only is the resort filled with the comforts and luxuries of a home-away-from-home, topped off with its incredible Balinese hospitality, it also offers a myriad of leisure activities for all ages and interests. 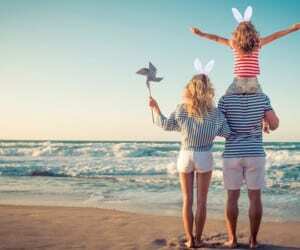 Aside from taking a walk on the glittering white sands, admiring the kaleidoscopic sunset from the resort’s very own private beach, families can pool hop across all of the resort’s eight pools (yes, you read that right!) while spa-goers can rejuvenate both body and mind with a good-ol spa sesh at the resort’s Sakanti Spa haven. 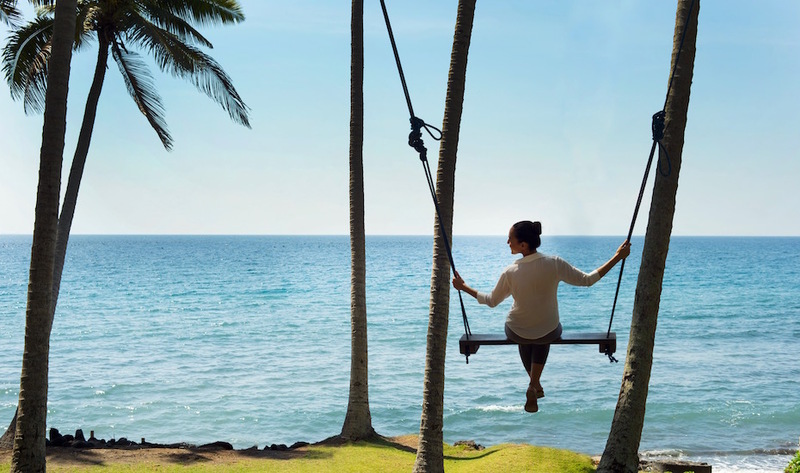 But one of our fave features in the resort (aside from The ANVAYA Kids Club that keeps the little ones busy with arts and crafts, dance sessions, biking, cooking lessons and even morning yoga classes) is the resort’s very own collection of Instagrammable swings and hammocks. With three swings and two hammocks to choose from – located by the beach, at the beachfront private pool, at the main pool and at the Sands Restaurant – the lolling options are endless. Do it for the ‘gram! What’s a holiday without epic food? From gourmet dining at the resort’s two specialty restaurants, to light bites by the Pool Bar and Lobby Lounge, you’re spoilt for wining & dining choices here. 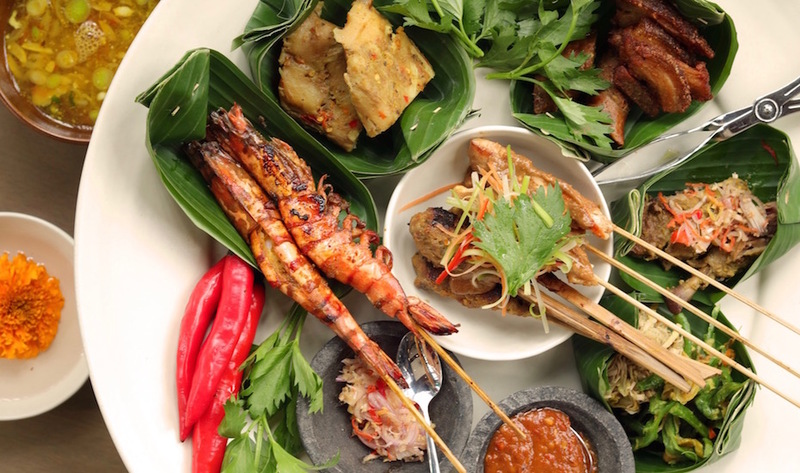 You’ll find scrumptious local cuisine at the award-winning Kunyit Restaurant (which means “turmeric” in Indonesian) with its true-blue traditional Indonesian and Balinese classics, like Sate Campur and Nasi Campur Bali. 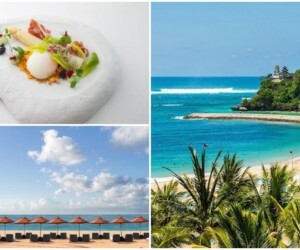 Or, feast with a sea breeze and breathtaking ocean views as company at the beachfront Sands Restaurant, with its contemporary Balinese, Mediterranean and Californian-inspired a la carte dishes and extensive buffet. The cherry on the cake? The resort’s walk-in wine cellar with its stellar collection of New and Old world wines, nestled underneath the restaurant. Hallelujah to that! So, the next time you’re in a pickle finding a place in Kuta that offers the sweet taste of island serenity as well as a buzzing adventure for when the mood strikes, look no further than The ANVAYA! The ANVAYA Beach Resort Bali, Jl Kartika Plaza Tuban, p. +62 361 209 0477, e. info@theanvayabali.com. Sun, sand & sea: It’s Bali’s best beaches!